Want To Stay In Brazil After Your Visa Expires? >> Want To Stay In Brazil After Your Visa Expires? I am still surprised by how many people still don’t realize that you must apply for a visa to enter Brazil. There are always complaints about why we must get a visa, but it’s a reciprocal situation. Brazilians must pay for a visa to enter the United States, so Brazil treats Americans the same way. You really can’t complain about that. The two most common types of visas to apply for are tourist and student. They are pretty similar in that they both last 10 years and cost the same fee. However, there are two key differences that should be noted. You are allowed to stay up to 180 days out of the year with up to 90 days at a time straight. 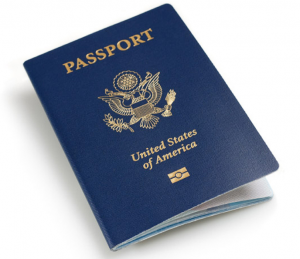 After the first 90 days is up, you will have to get your passport stamped again for another 90. All you need is a plane ticket and passport to apply. Some people say you need to show you have a certain amount of money to apply for a visa, but I didn’t have to show any proof. After your 180 days are over, you are not allowed to return until you have stayed out of the country for another 180. This is where it gets confusing, because I am not really sure when the calendar is reset after your 180 days is up. You are allowed to stay in the country for six months straight as long as you are enrolled in an accredited program. This can be anything from taking a full-course load at a university or taking one beginner level class in Portuguese. You’ll need extra paperwork to obtain a student visa like an official enrollment document from the program and a police report to make sure you aren’t a felon. But it’s worth the extra steps if you want to live in Brazil for an extended period of time. The great thing about a student visa is that you can virtually live in Brazil nonstop. You can continually stay enrolled in a Portuguese course as long as you pay for it and have proof that you are enrolled and attending classes. This is a great way to live in Brazil continuously for a year or two. There are other visas of course, but they aren’t as easily obtained as these first two, so it’s a waste of time to try to apply for them.